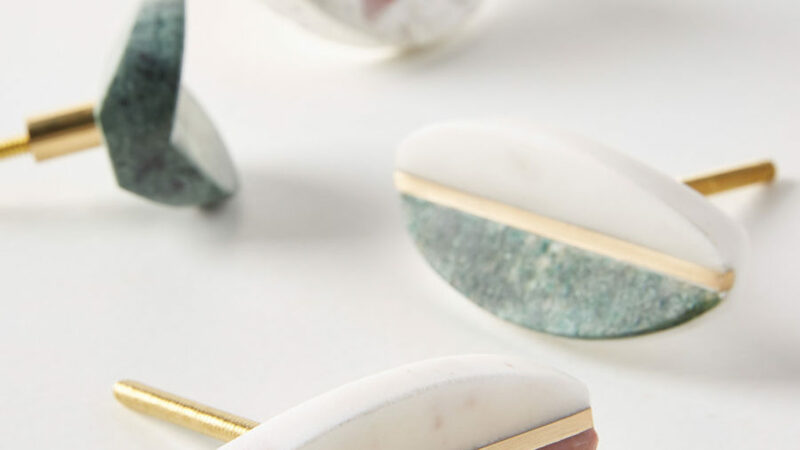 Add pizzazz to your cabinets, drawers, and dressers with these marble and brass knobs. Available in four sophisticated colorways, these cool-as-can-be pulls are an easy way to add a bit of glam to your space. Handmade by potter Carmen Lyngard in her Staffordshire, England studio, this incredible ceramic hanging pendant light will add an elegant glow to any space in your home. 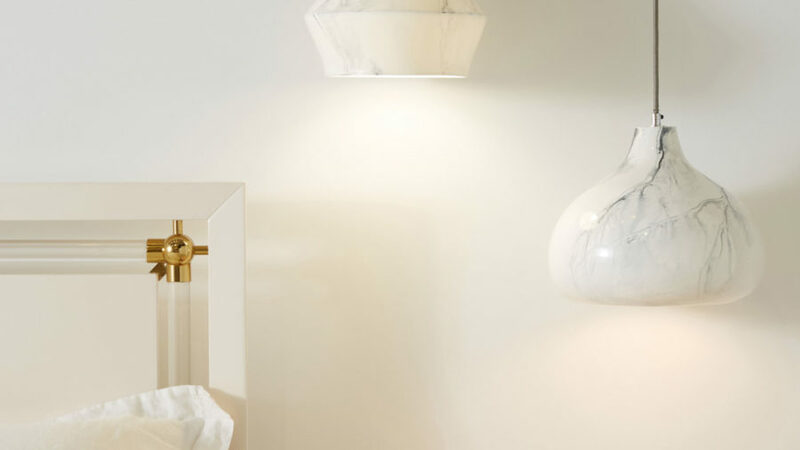 Available in two shapes--dome and pyramid--the bone china pendants feature a marble-inspired glaze. 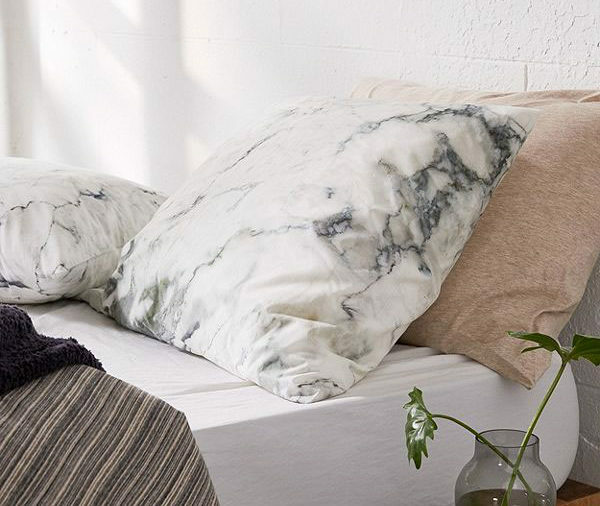 You’ll have nothing but a good night’s sleep when you rest your head on these cotton pillowcases with a marbling-inspired design. Comes in a set of two. By artist Rebecca Allen, this work is part of the Deny art collective, where a portion of the proceeds goes towards supporting art communities worldwide. 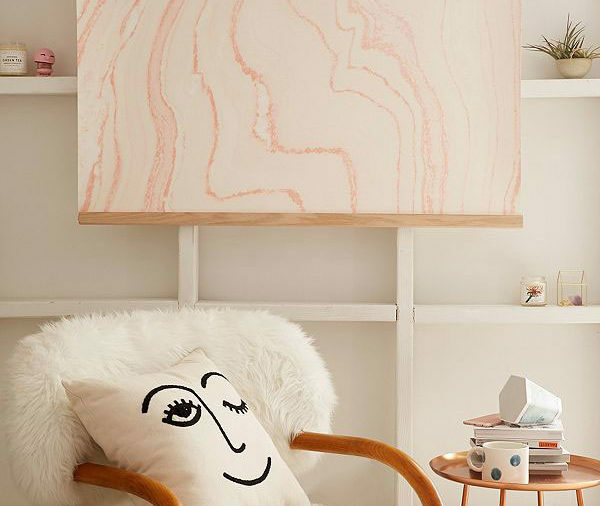 This fun pink work depicting a sheet of marble is available in two sizes. 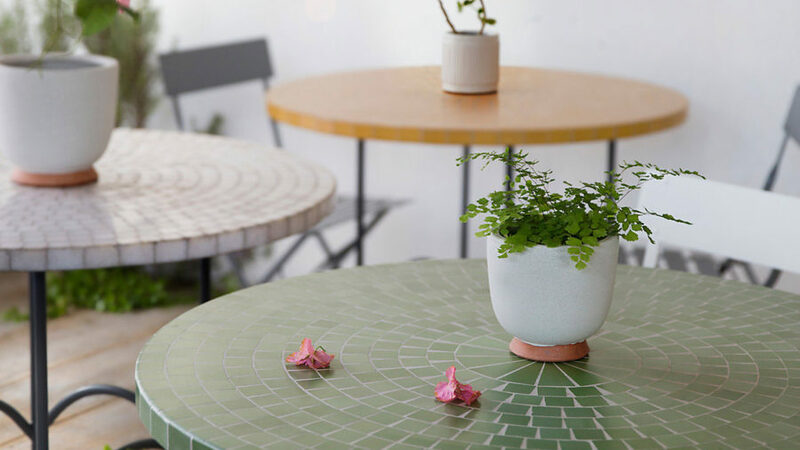 For indoor or outdoor use, this chic marble bistro table will take your dining set to the next level. Designed and handcrafted exclusively for Terrain, it’ll become the spot to enjoy your morning coffee or an evening glass of rosé. 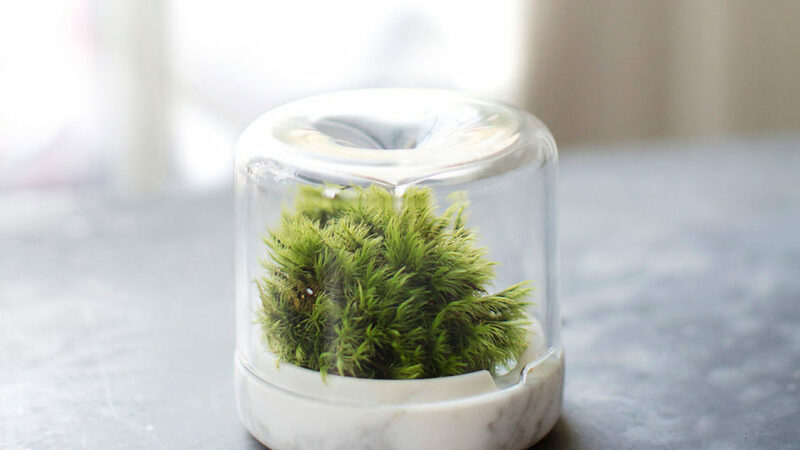 Some say the best things come in small packages, and that couldn’t be truer for this handmade mini mossarium. The closed glass top and Carrara marble base are specially designed to create a self-contained rainy ecosystem within the tiny vessel. 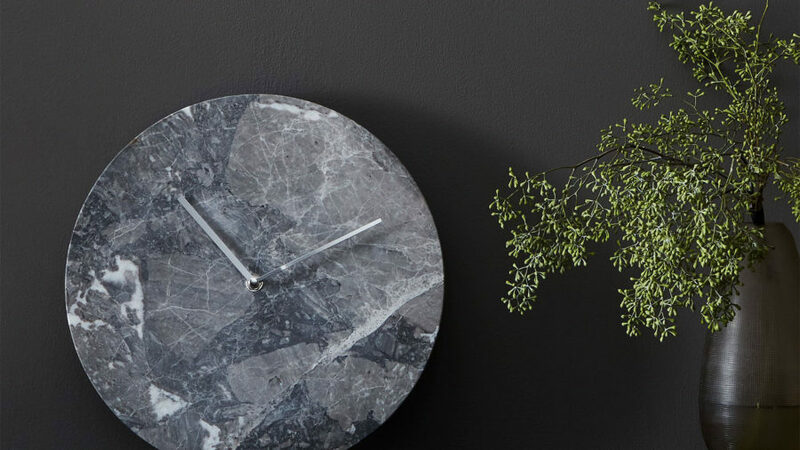 The time is set in stone with this awesome marble wall clock by Menu, available at Food52. The elegant and sleek design makes this the perfect marble accent for a home office or living room. 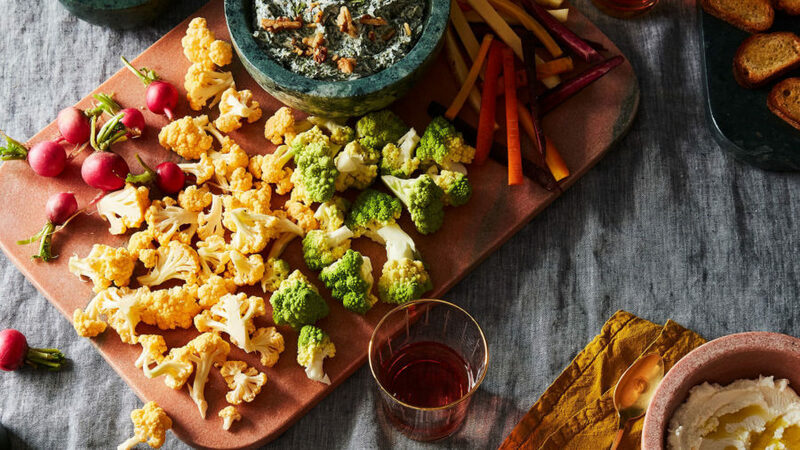 If they aren’t already, cheese and crudité boards are about to become your thing. From Hawkins New York, these stunning boards will quickly elevate your appetizer game. Available in two sizes and a number of marble and brass or copper finishes. 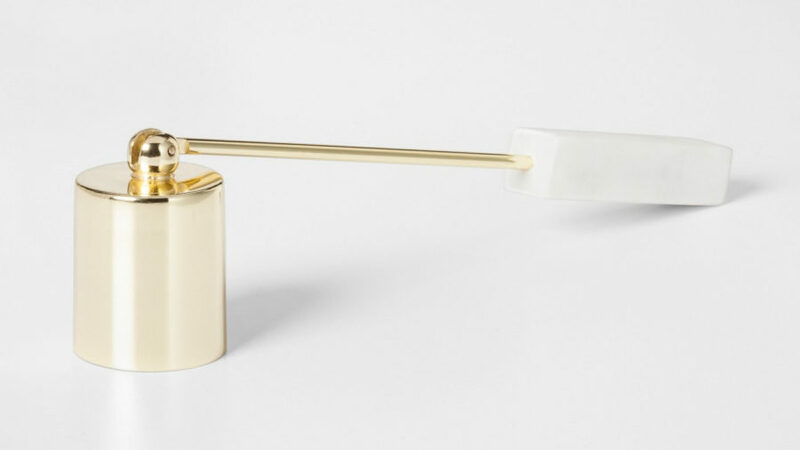 This modern gold and marble candle snuffer from Project 62, available at Target, is the perfect piece of coffee table decor. 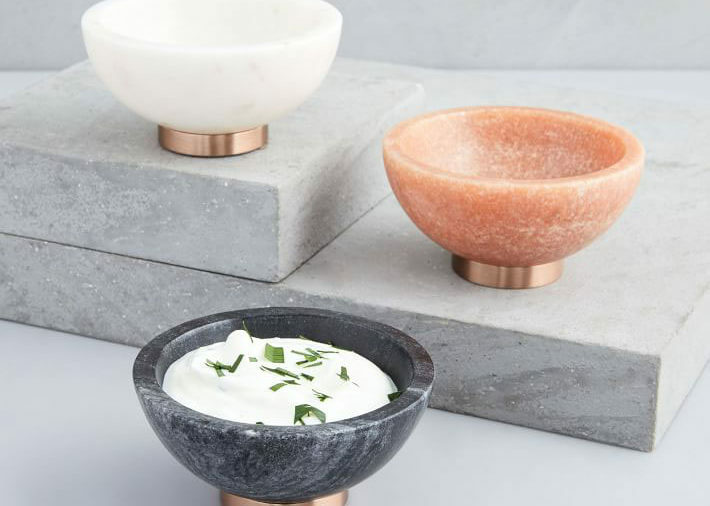 These sweet marble bowls will be in constant use. Ideal for sauces, dips, or even trinkets on a vanity, they are available in classy shades of black, white, and pink.